2015 and 2019 A Drone Opera Director/Concept Matthew Sleeth. Producer/New media dramaturge Kate Richards. Composer Susan Frykberg. Co-writers/co-editors Matthew Sleeth and Kate Richards. Laser Set Design Robin Fox. Sound Design Philip Samartzis. Cinematography David McKinnar, Sherwin Akbarzadeh. Soprano: Judith Dodsworth Alto Tenor: Hamish Gould Bass-Baritone: Paul Hughes 2015 Contemporary Opera with three performers, 9 drones, video streaming, laser sets. Commissioned by Experimenta Media Arts. 2019 3 channel video installation, 20 mins, 5:1 audio. Carriage Works, Sydney June 2019. Shortlisted Sundance New Frontiers 2019. Recalling the myth of Icarus, A Drone Opera charts the wonder and potential of a magical new technology, the attendant moral panic and the hubris that sabotages the initial promise. Drawing on the secretive subculture of DIY drone-makers, researchers and hackers, A Drone Opera explores the role of drone technology and its complex and contested status in public life. 2013 grove Artist Kate Richards. Lighting Design Chris Page. Supported by The Creative Practice Lab, UNSW and the Australian Post Graduate Award Light installation grove is a luminous soft architecture inspired by the rich cross-cultural and natural forms of the woodland grove. 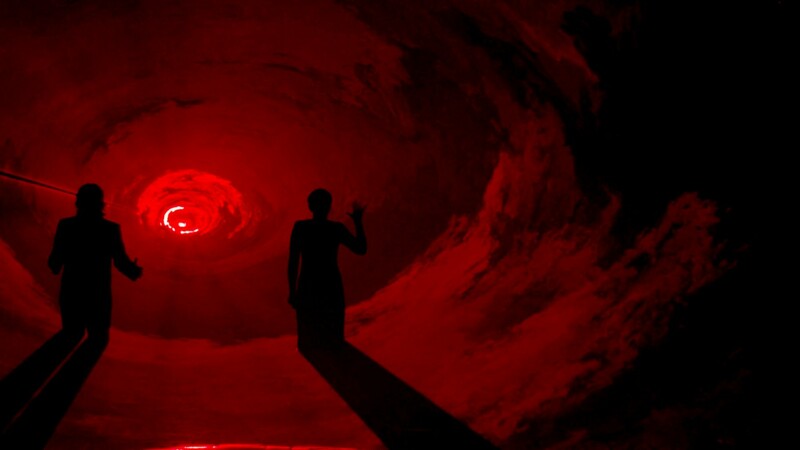 You are invited to wander within yourself in this immersive choreography of light, to dwell in a contemplative space of refuge from the urban noise. Set in a moat of reflective darkness, grove is comprised of a dynamic light array, its floor moulded from black rubber crumb and paths of glittery rock salt. The choreography of light-as-media is rhythmic and gently changeful, playing with the inherent materiality of light, it’s ‘faktura’ - reflectivity, transparency, volume and their others, absorption, opacity, and void. This work is based on my practice-led research into how embodied and precognitive perceptions of light and movement are fundamental to our engagement in an environment. We are in a dynamic and ecological relation to the environment and everything in it – including ourselves. Those movements within us and outside us, give rise to affects, the precursor states to doing, feeling and knowing. By eschewing content and ostensible interactivity and with its minimalist palette (of light and its antonym darkness) grove invites visitors into a quiet ecology in which to dwell and be immersed in these core registers of visual and spatial perception: grove affords audiences a sense of interiority. Like all groves, the installation space is literally and metaphorically animated and made sacred by light. 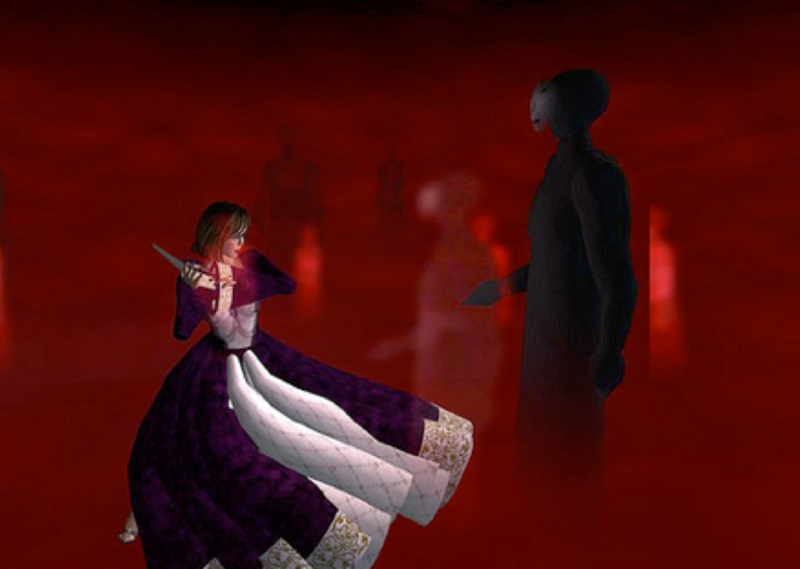 2008 Foul Whisperings, Strange Matters [Macbeth in 2nd Life] Media artist/Producer Kate Richards. Director Kerreen Ely Harper. Writer Angela Thomas. 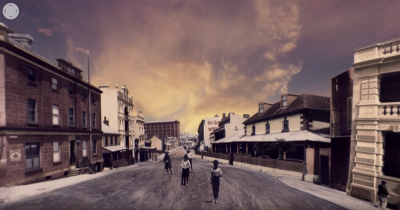 Funded by Australia Council for the Arts, Literature Board FOUL WHISPERINGS, STRANGE MATTERS brings Shakespeare's world-renowned and extraordinarily influential play Macbeth into a virtual worlds environment. This is an appropriate, timely use of pop culture as an adaptive bridge between classic texts and new media technology. The poetic use of metaphor, image and symbol that permeate Shakespeare’s language is brought to 3D life using the online world as a discursive design space where visitors experience the motivations and emotional journey of character, and explore and make personal sense of the universal themes of Shakespeare. In Foul Whisperings, Strange Matters a prelude at the arrival grove sets the tone for the visitors’ exploration of seven scenes depicting Macbeth’s journey. Visitors engage with the participatory potential of Second Life to remake, co-create and mashup Shakespeare. Foul Whisperings, Strange Matters’ inworld roleplay studios enable visitors to take part in group play and workshops that are exploratory, spontaneous and performative. 2016 The Rocks VR Artist/Producer Kate Richards. Artist/Composer James Brown. Video Compositor Brad Allen. Commissioning Producer Michael Cohen. Project Manager Chris Murphy. Sydney Harbour Foreshore Authority, The Rocks Museum. https://www.youtube.com/watch?v=4dCmaof34Kk&feature=youtu.be The Rocks Virtual Reality is inspired by the spectacular innovations in leisure technologies, ways of seeing and experiments in immersive environments in the early 20cth. This stereoscopic virtual reality view of the Rocks in 1901 is a souvenir for contemporary visitors that evokes the novel audience experiences of the 19Cth. 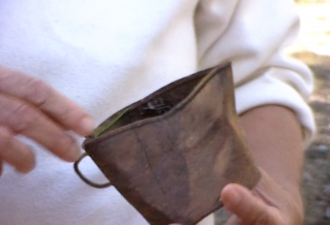 Using rare archival material including original photographs taken in 1901 by NSW Government photographer John Degotardi, the project offers a wonderful insight into life in The Rocks a century ago through the magic of virtual reality —a time when domestic life was not confined behind closed doors, washing was strung up to flap between buildings, animals roamed the streets and scores of barefoot children played on the dusty roads. The 19Cth ushered in many new leisure technologies. Motion-based, immersive experiences emerged with popular new viewing technologies, such as panoramas, personal stereoscopes, magic lanterns, the zoetrope and other strange technical and aesthetic experiments. A range of new emergent cultural and entertainment industries bring us ‘telepresence’ in the form of wireless, radio, cinema and the telegraph that compress space and time, and ‘actuality' become ‘the mediated'. Souvenirs - the ‘take-away’ of the experience – co-evolved with these new travel and leisure industries. 2013 Unhomely Artist/Producer Kate Richards. Artist/Designer Aaron Seymour. Artist/Writer Ross Gibson. 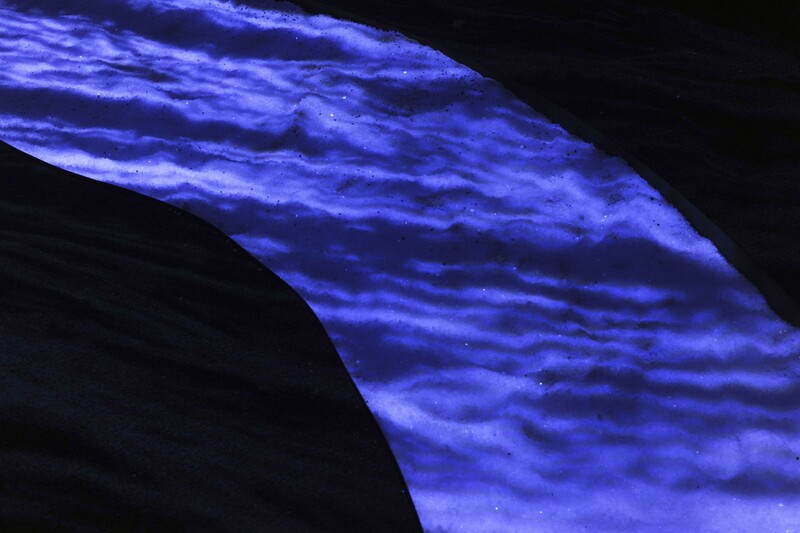 Commissioned and exhibited by International Symposium of Electronic Arts (ISEA) Sydney, and Sydney Harbour Foreshore Authority. https://vimeo.com/287945630 Unhomely is a site-specific installation, an ‘expanded cinema’ of 7 video channels projected inside Reynold’s Cottage and a room of staged, found objects at the rear. Our aim with Unhomely was an uncanny audience experience, by filling and electrifying - possessing and processing – the cottage with unfolding scenographies created from our mid 20cth crime archive. 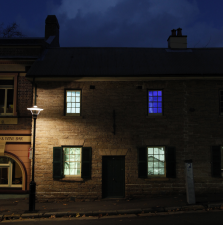 Part of the Life After Wartime suite, this installation evokes an unhomely inner city Sydney, the windows a dark lens on Sydney’s hard and dirty past, a shifty spirit-world from the harbour-side of the mid-20Cth. The audience views the cottage from outside, both front and back of the site. 2010 Travels in Beautiful Desolation Artist Kate Richards.Programmer James Hudson. Dreamworlds, Contemporary Australian Video Art, Beijing and tour of China. 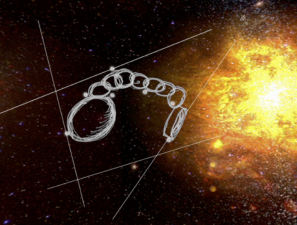 Supported by Artist Residency Mt Stromlo, Australia Council for The Arts “Gondwana” is a galaxy of the imagination created using astronomical visualisations from the Research School of Astronomy and Astrophysics at Mt Stromlo, Canberra. It is a playful riff on astronomical data, scientific research, cosmology and allegorical discourses. Realised in a games engine by James Hudson of Nocturnal, with an immersive interactive interface using handheld navigation and augmented reality ‘heads up’ display. 2007 Bystander Artists Kate Richards & Ross Gibson. Designer Aaron Seymour. Sound Designer. Greg White. Programmers. Daniel Heckenberg Jon Drummond. 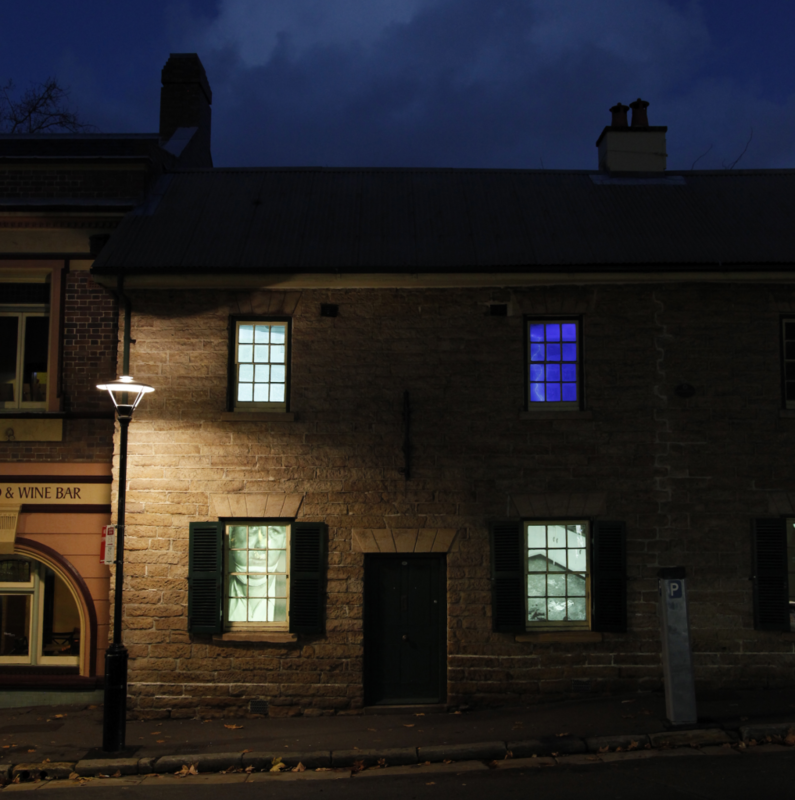 The Performance Space, Carriage Works Justice and Police Museum, Sydney. 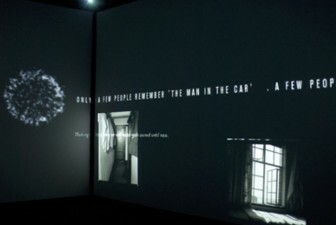 Funded Australia Research Council; Nelson Meers Foundation; The Performance Space	ABC Sunday Arts story: https://vimeo.com/331617789 Part of the Life After Wartime suite, Bystander is a 5-channel interactive software system. The work is installed in a 7-metre-wide pentagonal frame comprised of five projection-screens and surround sound audio which visitors enter – up to 10 at once. All round them, a spirit-world of images, texts and sound gets composed in response to their movement, mass and attentiveness. The room is a kind of performative story-generator haunted by Sydney’s recent past. Depending on the behaviour of visitors, a variable and volatile world of audiovisual narrative evolves endlessly but cogently. Bystander exhibits emergent behaviours – complex narrative, aesthetic and semantic patterns emerge out of simple, elegant rules and interface. 2010 Bloodbath Artists/Producers Linda Dement, Kate Richards. Collaborating Artists Sarah Waterson, Nancy Mauro-Flude, Francesca da Rimini. Hordern Pavillion, Sydney.Funded Australia Council for The Arts. 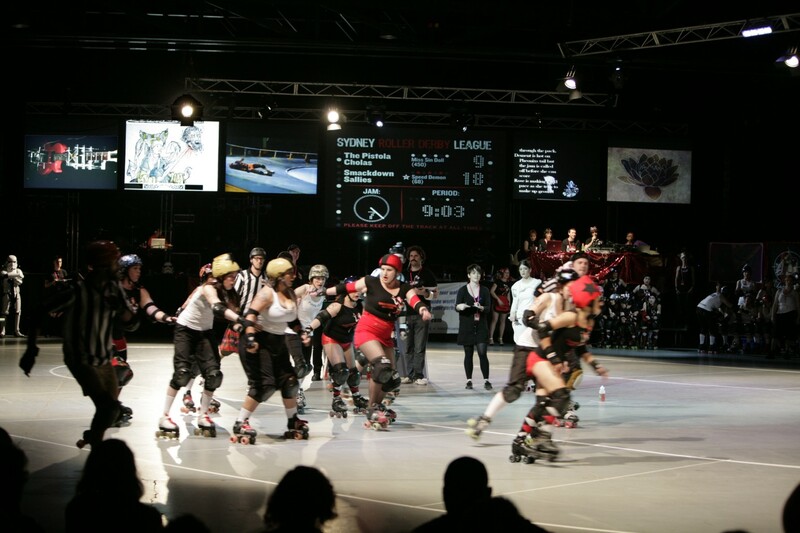 https://vimeo.com/287944341 Five women artists take live movement data from roller derby players; each artist using the data to create a live video projection. 2015 Reverie Artist Kate Richards. Music Jeffrey Wegener. Created at Inter Create SCANZ Artist Residency NZ, exhibited New Plymouth. 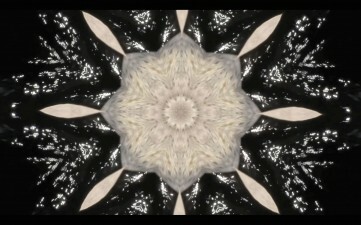 The Blake Prize Director's Cut, NSW https://vimeo.com/287943305 [excerpt] Reverie is a single channel video made at the international artist’s residency Intercreate - SCANZ in New Plymouth, NZ. The residency theme was “Water and Peace”. Reverie draws on Islamic and indigenous spiritual traditions of non-figurative pattern-making from nature, as an aid to contemplation, lucid dreaming and meditation. 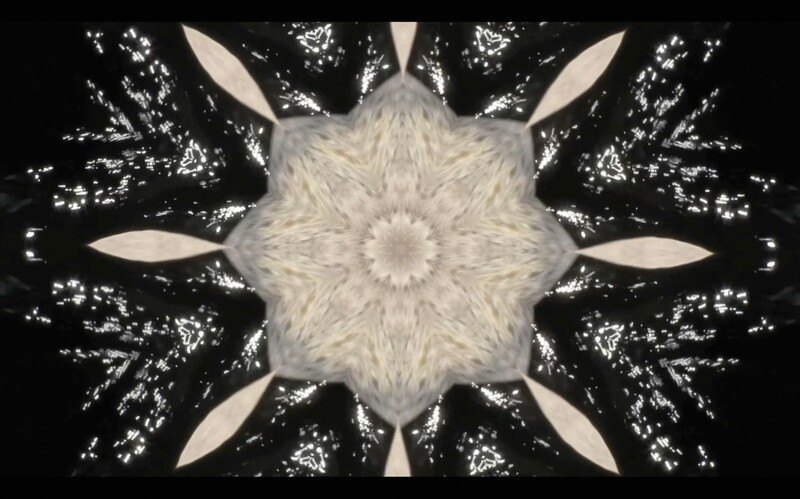 Comprising video shot at the mouth and at the head waters of the sacred Oakura River in the Taranaki, NZ, and percussion by drummer Jeff Wegener, Reverie deploys gently changeful rhythms and dynamics, embodying the infinite self-similarity yet constant variance of watery forms as they unfold across time. The work operates on affective, pre-cognitive levels. The subtle but constant variances of water - influenced by turbidity, surface tension, light refraction, wind, angle – contained and refracted within the kaleidoscopic form, are intended to evoke a stimulating yet meditative experience – a short term detachment from one’s surroundings, in short a reverie. Director/Concept Matthew Sleeth. Producer/New media dramaturge Kate Richards. Composer Susan Frykberg. Co-writers/co-editors Matthew Sleeth and Kate Richards. Laser Set Design Robin Fox. Sound Design Philip Samartzis. Cinematography David McKinnar, Sherwin Akbarzadeh. Soprano: Judith Dodsworth Alto Tenor: Hamish Gould Bass-Baritone: Paul Hughes 2015 Contemporary Opera with three performers, 9 drones, video streaming, laser sets. Commissioned by Experimenta Media Arts. 2019 3 channel video installation, 20 mins, 5:1 audio. Carriage Works, Sydney June 2019. Shortlisted Sundance New Frontiers 2019. Recalling the myth of Icarus, A Drone Opera charts the wonder and potential of a magical new technology, the attendant moral panic and the hubris that sabotages the initial promise. 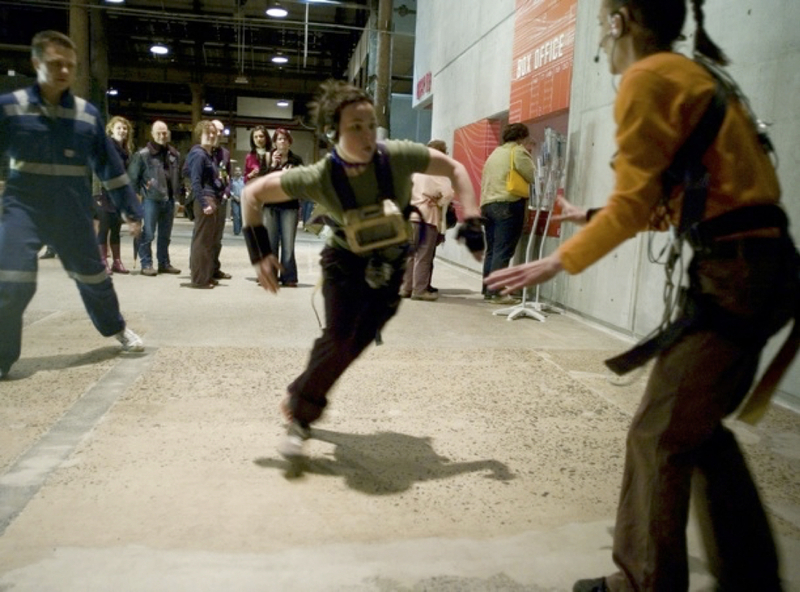 Drawing on the secretive subculture of DIY drone-makers, researchers and hackers, A Drone Opera explores the role of drone technology and its complex and contested status in public life.